25 January 2019 (Toronto, ON) - Emanon, the acclaimed new album from Jazz legend, 10-time GRAMMY winner, and recent Kennedy Center Honors recipient Wayne Shorter, is available today digitally from all digital retailers and streaming services. The expansive triple-album was originally released as a physical set on vinyl and CD packaged with its companion graphic novel which was co-written by Shorter and Monica Sly and illustrated by Randy DuBurke. The graphic novel is also available now in digital bookstores. Get Emanon on vinyl HERE and stream HERE. Emanon features original music by Shorter performed by The Wayne Shorter Quartet—Shorter on soprano and tenor saxophone, Danilo Perez on piano, John Patitucci on bass, and Brian Blade on drums—with and without the Orpheus Chamber Orchestra. Emanon is nominated for Best Jazz Instrumental Album at the 61st GRAMMY Awards, which will take place February 10 in Los Angeles. It was also named the #1 Jazz Album of 2018 by The New York Times and NPR Music, in addition to Best of 2018 picks in Rolling Stone, Paste Magazine, Billboard, Los Angeles Times, JazzTimes, Jazziz, and more. 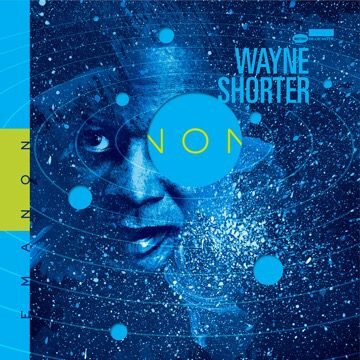 In February 2013, upon the release of Without A Net, The Wayne Shorter Quartet performed four of Shorter’s compositions with the Orpheus Chamber Orchestra at Carnegie Hall in New York City. Shorter immediately brought the quartet and orchestra into the studio to record those same four pieces: “Pegasus”, “Prometheus Unbound”, “Lotus” and “The Three Marias”.